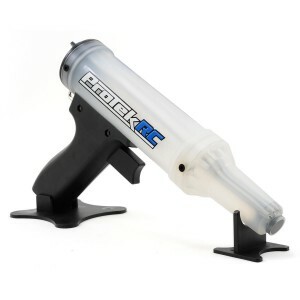 This is the ProTek R/C "Quick Pit" Fuel Gun. Used by ProTek R/C team drivers Chad Bradley and Marty Korn at the 2010 IFMAR 1/8 Buggy World Championships, the ProTek R/C Quick Pit Fuel Gun is one of the fastest fuel guns available! The Quick Pit can refill an 1/8 buggy fuel tank in less than 1 second!